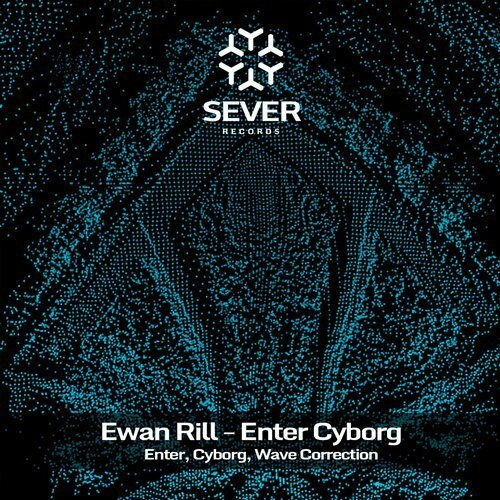 As 2017 begins we see a welcome return for Ewan Rill’s Sever Records imprint. Launched in March of 2015 the Russian label enjoyed a quick rise but then disappeared in May after just three releases. It’s been just about a year and half but fans of both the label and Ewan will be pleased to see it relaunched to begin the new year and what better way to do that than with three new tracks from the label boss himself. Beginning with ‘Enter’ Ewan brings a deep, chunky vibe as thick slabs of bass power forward. Strong claps and a flurry of drums add mightily to the groove before smooth overlays bring a melancholic vibe. It’s clean, serene and quite gorgeous, leading to a timely break where wispy soundscapes eventually bring the rumbling low end back for a great drop. Brilliant track from Ewan. Continuing with ‘Cyborg’ the tempo gets shifted into more driving territory all while maintaining the subversive power of the lead cut. Percussive waves and beaming electronics come quickly with the muscled low end just adding to the meditative qualities of the piece. The great thing about all of Ewan’s tracks is they have a great club vibe and also get everything accomplished in under seven minutes. This is concise work and another great one for the dance floor. The release concludes with the most melodic piece of the three ‘Wave Correction’. This for me is also the most interesting, a bit rougher in design and the syncopated melodies are quite striking but still tastefully delicate. The short break to set up the second act is perfect and the impact of the melodies coming out of it is really impressive. A gorgeous way to end the EP which re-launchs Sever Records quite nicely. Don’t miss it.